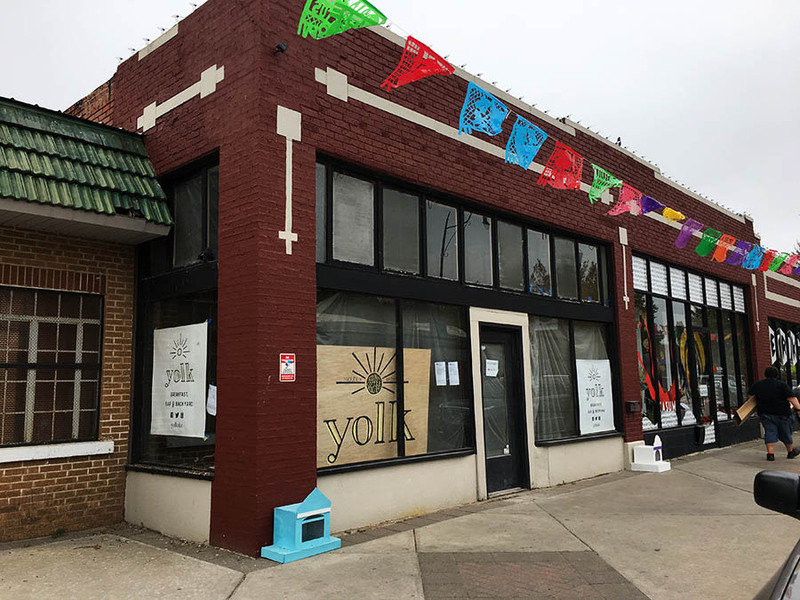 Plaza District pioneers Jeff and Aimee Struble have submitted plans for a new breakfast and lunch restaurant to be called Yolk. 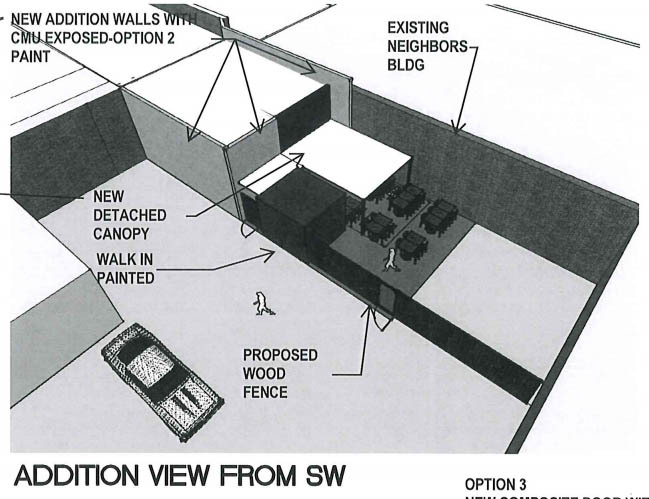 Yolk would occupy the far east end of a building owned by the Strubles, which abuts Stanley's Garage and a proposed snow cone stand that has been opposed by the Strubles. 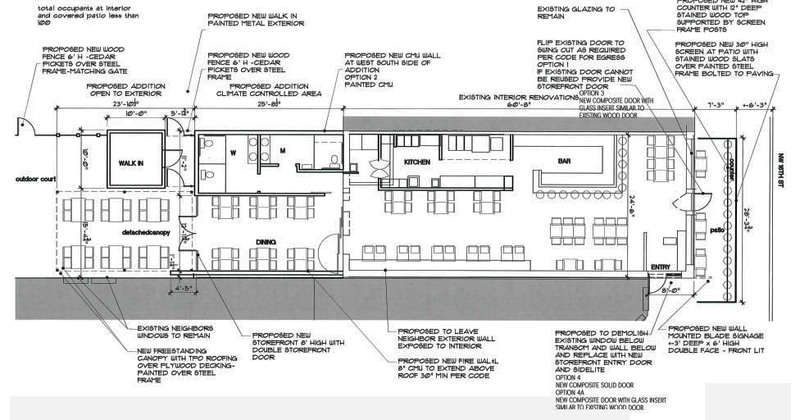 Plans show the new restaurant would have an outdoor patio directly next to the stand, as well as outdoor space in the rear. The space was most recently a leasing office for LIFT apartments. 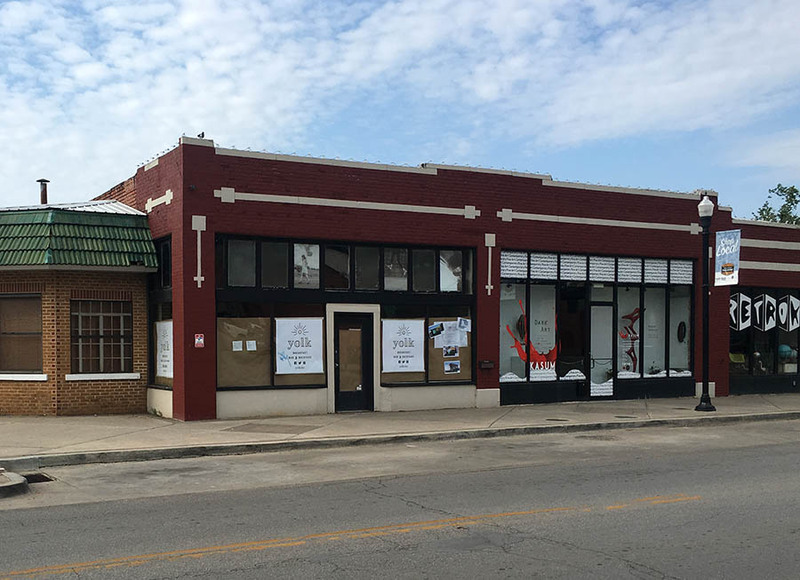 Tenants to the west include Retro OKC, Out on a Limb and No Regrets Tattoo. The Mule is just on the east side of Blackwelder. The Strubles were among the first to buy and redevelop property in the Plaza District and have received much credit for the area's revival and popularity. Is this the same Yolk that's in Chicago and FTW? I don't think so, but I hope so. 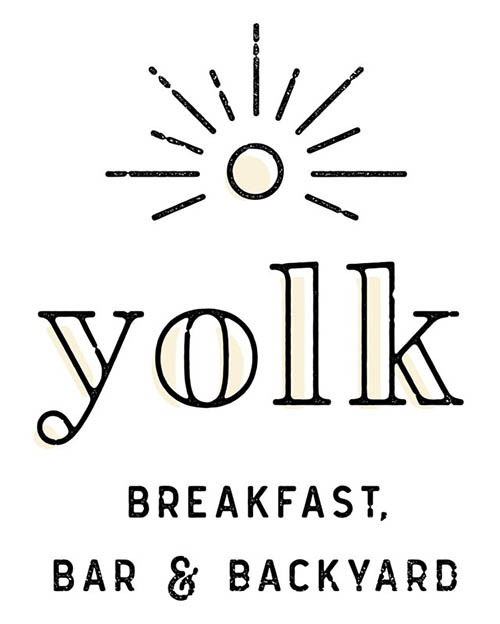 Yolk in Chicago has some of the best breakfast. From the article it seemed like it was a new concept, but it does look like they're expanding to closer to us. I don't think this restaurant is affiliated with the chain. If not, they should probably be prepared for a cease and desist. Ask the folks at Knuck's Wheelhouse, which was originally to be called Homeslice. right, this very much seems like they're following the Chicago model. 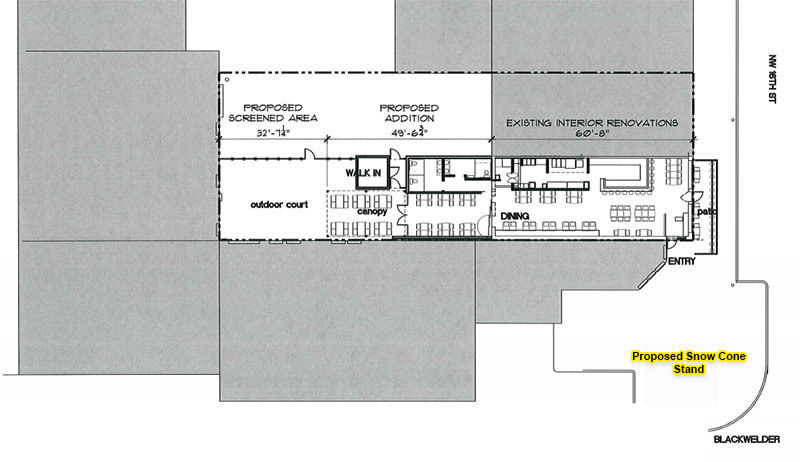 ..
Not only the name, but the seating layout looks eerily similar to the Yolk locations I've been in. "Get ready to have your taste buds rattled. 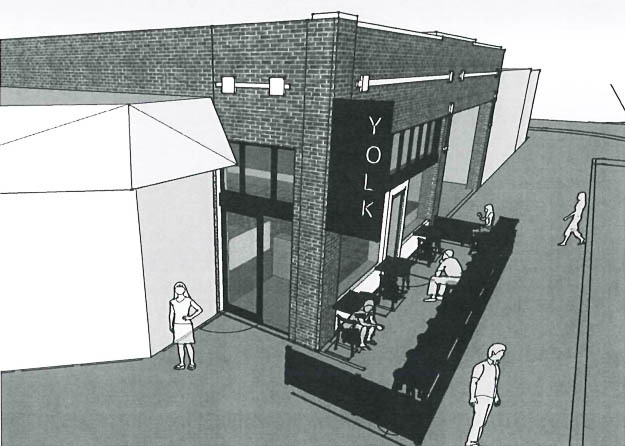 Yolk is a elevated breakfast and lunch eatery coming to the Plaza District. Follow for updates on construction, menu items, and our rotating blue plate specials. We are so excited to share this experience with you. See you this winter!!" I went on the gatewood home tour and one of the locations was an Airbnb rental there on Gatewood between 15th and 16th. The deck on the rental faces the back alley and you could see the patio area being built on the back of Yolk. 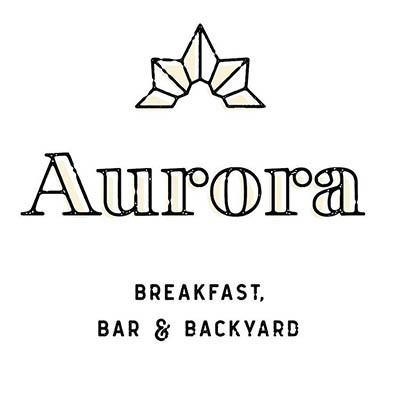 This restaurant is now known as Aurora Breakfast, Bar & Backyard. I don't doubt the name / trademark issue with the existing Yolk chain had something to do with the change. Pete, any update on when they will open? Any update on when they will open? Their Facebook page says they are aiming for March. Last night it looked like they were painting this and the Kasum part of the building a dark gray. So they are getting close. I found small rip in their privacy paper that lines the windows last night. This is what I was able to see. That's some great snooping right there! Looks like it's going to be very nice. I love the pic through the paper...LOL.. that is awesome. and looks nice! I sure hope they rotate it 90 degrees clockwise when they are finished or all the food will slide off the tables.